Share the post "Health Benefits Of Lobelia And Plant’s Toxicity"
Lobelia is a genus of flowering plants comprising 415 species in the family Campanulaceae. The plant’s distribution primarily in tropical to warm temperate regions of the world, a few species extending into cooler temperate regions. They are known generally as lobelias. Several Lobelia species are cultivated as ornamental plants in gardens. These include Lobelia cardinalis syn. Lobelia fulgens (cardinal flower or Indian pink), Lobelia siphilitica (blue lobelia), and Lobelia erinus, which is used for edging and window boxes. But like many plants, Lobelia is known to be effective in treating various ailments and has a long use as a medicinal plant, as an entheogenic, emetic, and a dermatological and respiratory aid. For example, Lobelia chinensis is used as one of the fifty fundamental herbs in traditional Chinese medicine. The species used most commonly in modern herbalism is Lobelia inflata (Indian tobacco). It is a species of Lobelia native to eastern North America, from southeastern Canada (Nova Scotia to southeast Ontario) south through the eastern United States to Alabama and west to Kansas. The lobelia plant was named after the 17th century Belgian botanist Matthias de Lobel, whose contributions in the field of botany is still highly regarded up to this day. Lobelia is sometimes referred to in different names, for instance, some people call it Indian Tobacco because it contains chemicals that are similar to nicotine, and also because Native Americans used to smoke it in lieu of actual tobacco. There are other names used to describe the lobelia plant: asthma weed, puke weed, gagroot, vomitwort, bladderpod, and eyebright. 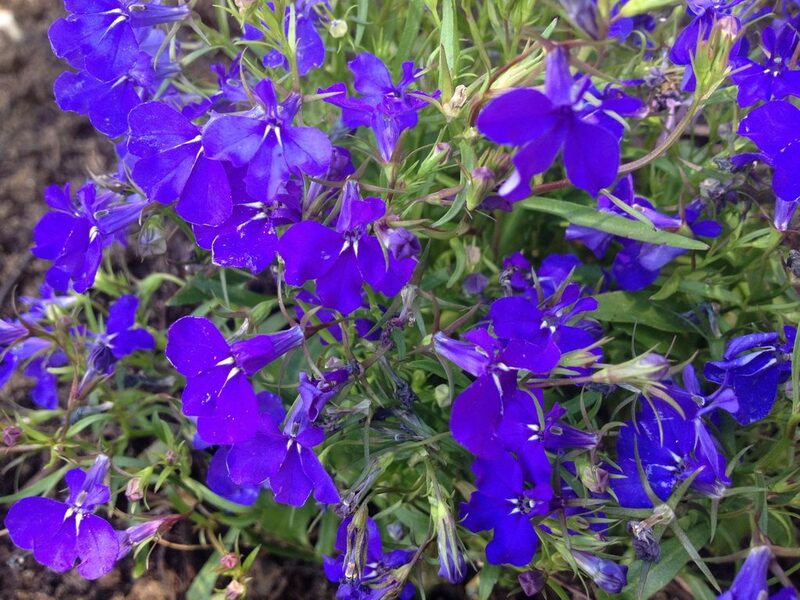 Native Americans used Lobelia inflata to treat respiratory and muscle disorders, and as a purgative. The plant was used as a traditional medicinal plant by the Cherokee, Iroquois, Penobscot, and other indigenous peoples. The foliage was burned by the Cherokee as a natural insecticide, to smoke out gnats. Lobelia has been used as “asthmador” in Appalachian folk medicine. The lobelia inflata plant has delicate, little violet flowers that are tinted yellow on the inside, and usually appear in mid-summer and continue to bloom into fall. Although the flowers of the lobelia plant does have some medicinal qualities, the seeds are the ones most commonly used for making herbal remedies. This is due to the fact that the lobelia plant’s seeds are a potent source of lobeline, a piperidine alkaloid. • Lobelia is used for breathing problems including asthma, bronchitis, whooping cough, and shortness of breath (apnea). Lobeline is a powerful respiratory stimulant by stimulating the respiratory centers and exerts this effect even in relatively small doses. Isolobeline is an emetic and respiratory relaxant (relaxes smooth muscle) that most powerfully exerts its action at higher doses. The combined action of both of these alkaloids makes Lobelia a stimulating relaxant. The net effect in the lungs will be a promotion of mucous secretion, expectoration and a reduction in bronchial spasm. • Some people take lobelia as a sedative to help them relax. • Other people use it to increase sweating. • Lobelia is applied to the skin for muscle pain, joint lumps associated with rheumatoid arthritis (rheumatic nodules), bruises, sprains, insect bites, poison ivy, and ringworm. In manufacturing, lobelia is used in cough preparations and counterirritant products. Lobelia inflata is still used medicinally in the present day, however there are adverse effects that limit its use. 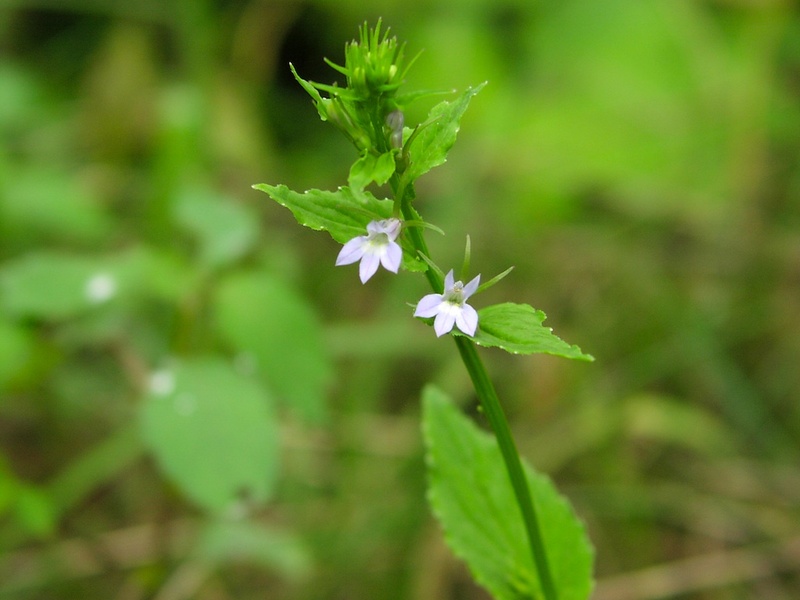 Because of its similarity to nicotine, the internal use of lobelia may be dangerous to susceptible populations, including children, pregnant women, and individuals with cardiac disease. Excessive use will cause nausea and vomiting. It is not recommended for use by pregnant women and is best administered by a practitioner qualified in its use. The therapeutic dose of lobeline is very close to the toxic dose. It also has a chemical known as lobellicyonycin, which may cause dizziness. Side effects can include sweating, nausea, vomiting, diarrhea, tremors, rapid heartbeat, mental confusion, convulsions, hypothermia, coma, and possibly death. This herb is toxic at low doses and in some countries the sale of Lobelia is limited. In the past Lobeline was used in anti-smoking products as a deterrent for those with a smoking addiction. However, the sale of smoking products that contained lobeline was prohibited by the Food and Drug Administration in 1993 because it was not helpful to those who were addicted to smoking. Lobelia also contains various alkaloids other than lobeline which include lobelacrin, a bitter glycoside, lobelianin, a pungent oil and resin, acid, fats and gum. It also has 14 pyridine alkaloids. Therefore it is always best to consult your health care physician for proper dosage and use. Do you grow Lobelia inflata (Indian tobacco) in your garden? What is your experience with this plant? Please share with other fellow gardeners in the comments below!